On the first date of September, Google introduced a new logo and icon. Now it has been rolling out for all applications. You can check the previous article to get the new logo Google search bar on Android devices. The logo is quite good and impressive with the transformation effect from “G” to Google. How it would be, if you can be able to set new Google logo as Android boot animation? Yes, you can. Are you bored with your old startup animation and want to taste a new one, then this article is for you. Just download and set new Google logo animation instead of this and stay one step ahead. This animation has a white background and consists of three type of movements; G, dotted colors and finally the Google logo. Before going through the procedure, you must have some basic requirements. 4) Download Boot Animation File. If you want to flash it, then download Flashable File. 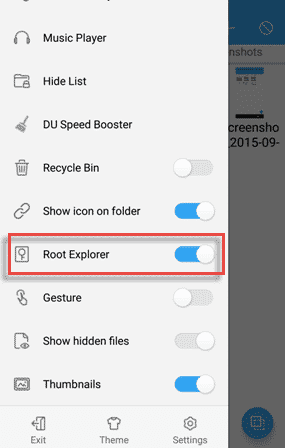 1) Open ES File Explorer and from the left slider menu, enable “Root Explorer”. It’ll ask you to grant root access. Grant it. 2) Now go to Device >> system >> media. From there, copy bootanimation.zip to your memory card or any other safe place. It is required to revert back to your old boot animation. 3) Now copy the downloaded bootanimation.zip to the media folder. Overwrite it. 4) You are done! Reboot you mobile to check the changes. 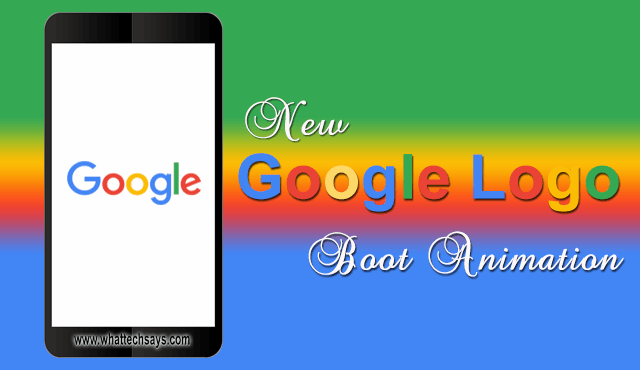 This is a simple tutorial to set new Google logo as Android boot animation on your device. I have tested it on my Xperia Z2, and it’ll work on all type of Android devices. If you don’t like the new animation, then once again copy the backup bootanimation.zip file and paste it to the media folder. where is the bot animation link download ?